Now that the New Year is here, it’s time to start to planning some fun outdoor adventures for 2019! So we thought some top tips from the team here at Nature Travels would give you some ideas for some outdoor fun for the coming year! Each of us has chosen one summer and one winter experience we really enjoyed when we did them. Happy planning! I was lucky enough to take part in the trial hike for this route earlier this year, and was enchanted by the dramatic and ever-changing landscape. 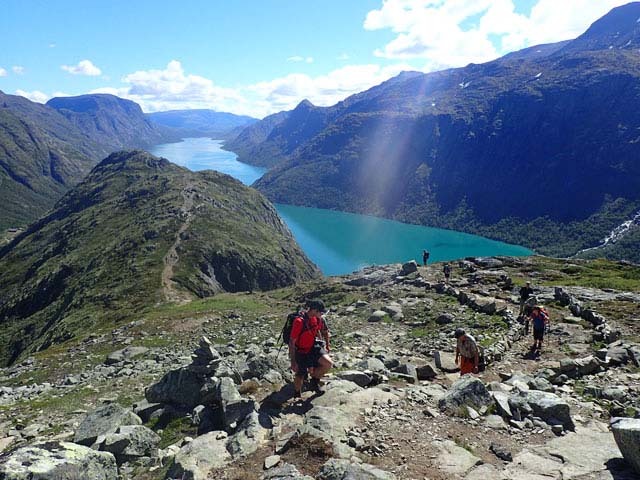 The famous Besseggen Ridge lived up to its reputation as one of Norway’s most spectacular day hikes, but actually it was the other parts of the route that made the greatest impression on me. 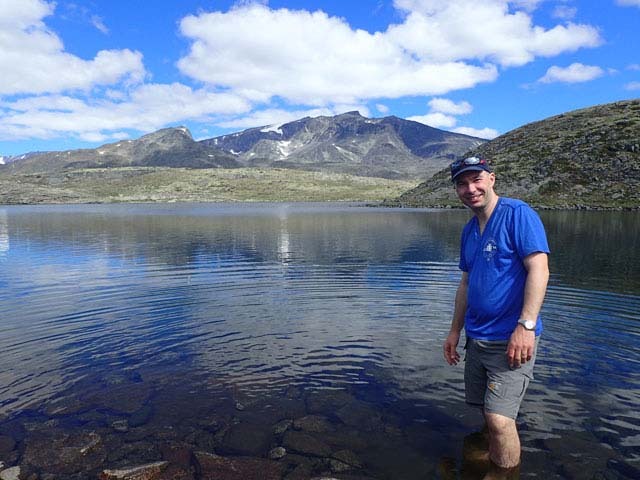 Hiking Besseggen and Jotunheimen National Park. Photo: Nature Travels. 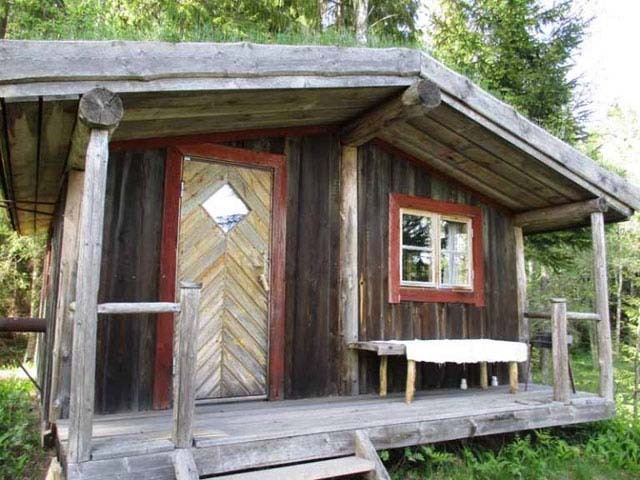 Not only each day’s hiking but each night’s accommodation was different, from the comfortable rooms at Memurubu to (my personal favourite) the more wilderness cabin-style accommodation at Torfinnsbu. Amazing scenery made all the more accessible by the luxury of having your main luggage transported between overnights. This was tour made me catch the ski touring bug! 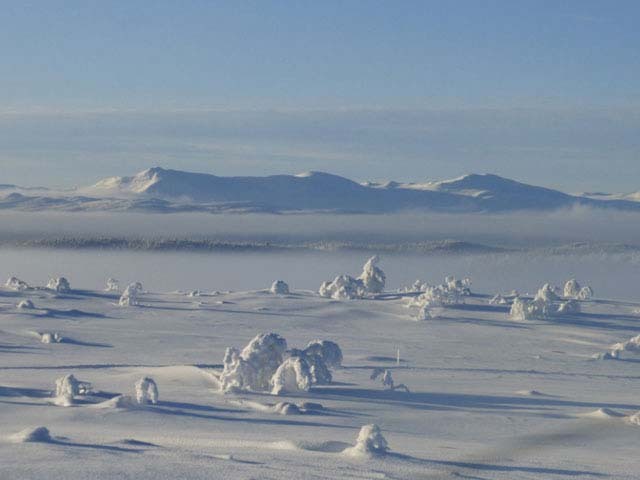 Discover Mountain Ski Touring in Lapland. Photo: Nature Travels. 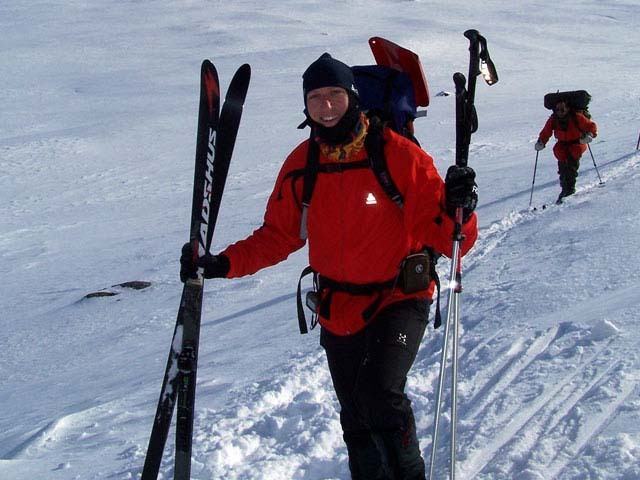 I had been both cross country and downhill skiing before, but this was my first experience of point-to-point ski touring. The going was hard work at times, but my technique improved a great deal during the week, even if I still often felt more like a drunken penguin on my skis than a seasoned tourer. But I found myself energised and uplifted both by the stark beauty of the landscape and the thrill of being able to explore off the beaten track. Back to Basics in Cosy Cabins is located in a forest on the edge of a lake, or on the lake in the case of the floating cabin! 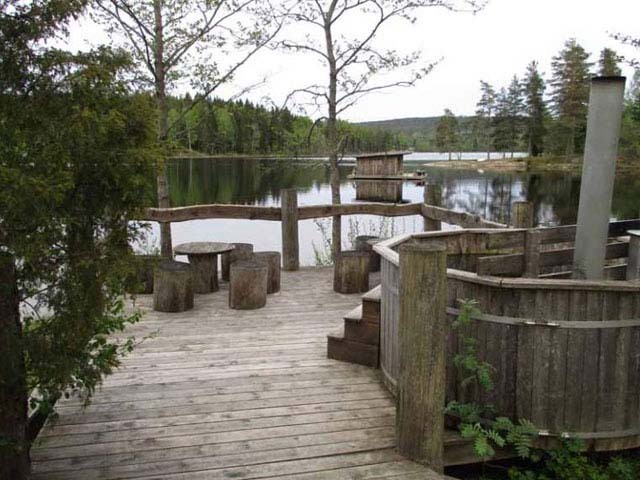 I stayed there with Jayne and the cabins are all built by the fair hands and skill of the local host, including furniture, ladders and the cabins themselves. Back to Basics in Cosy Cabins. Photo: Nature Travels. It feels like you’re in the middle of nowhere but the cabins are easy to reach whilst still being away from civilisation. I think this is a really unique stay for those wanting to get away from the trappings of modern life and get back to basics! 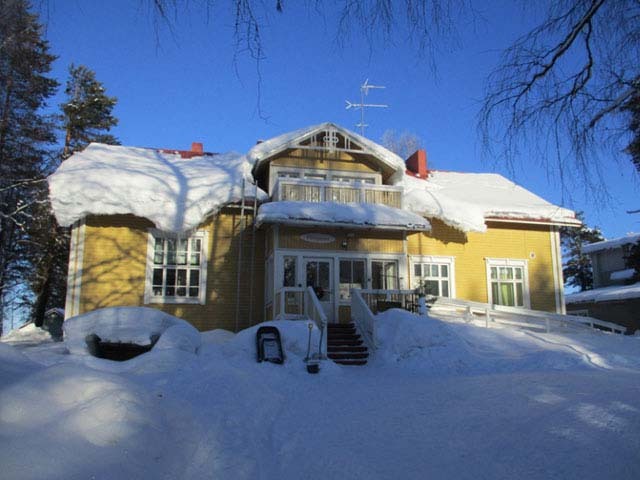 The Cross Country Skiing in Eastern Finland “Discover” tour is for those wanting to learn a new skill and be rewarded by wonderful Finnish cuisine and a sauna at the end of the day! 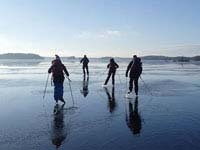 Cross Country Skiing in Eastern Finland. Photo: Nature Travels. I thought the food was a real highlight on the tour and every dinner was a treat! 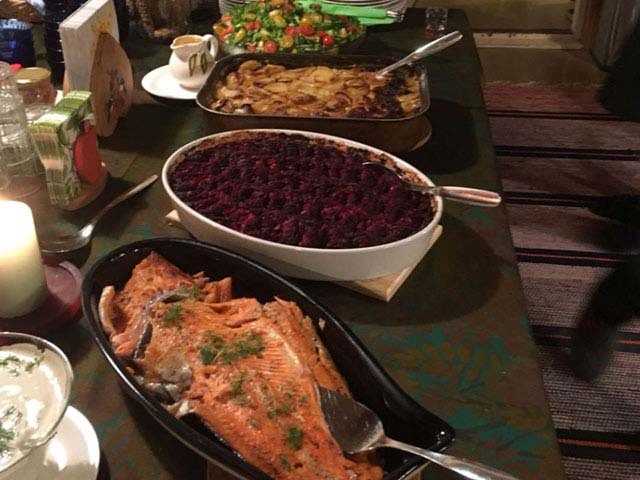 There’s a focus on locally-sourced and produced food with some traditional Karelian recipes to show the best the area has to offer. Apart from eating delicious food, I also learnt how to cross country ski and the best way to learn is by doing. There are beautiful routes exploring the Finnish forests and you feel like you have the winter wonderland to yourself. As with learning most outdoor activities of this kind, I got a few bumps along the way as I learnt to improve my technique and balance, but it’s all part of the fun. We all bonded as a group as we took it in turns tackling the trickier sections, but the reward of going down a hill and managing to stay upright the whole way is uplifting! Last year my colleague Niki and I were offered the opportunity to go kayaking in the Stockholm Archipelago, an offer which we jumped at. 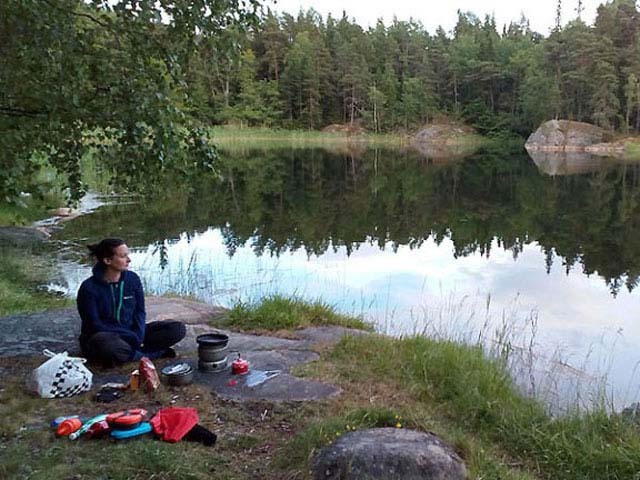 Stockholm Archipelago Self-guided Kayak Explorer. Photo: Nature Travels. Being so close to Stockholm it’s amazing how quickly you can travel from the city centre and suddenly find yourself in the archipelago feeling far away from the hustle and bustle. 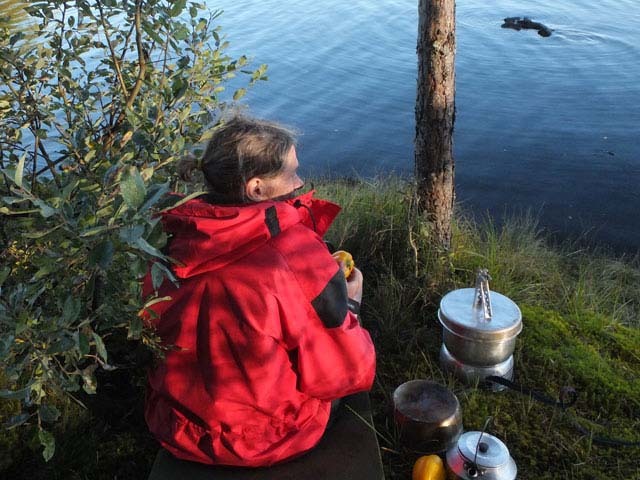 I really like that with this tour there is no need to rush – you can do as much or as little kayaking as you want, the trip offers great flexibility on where you go and where you camp. 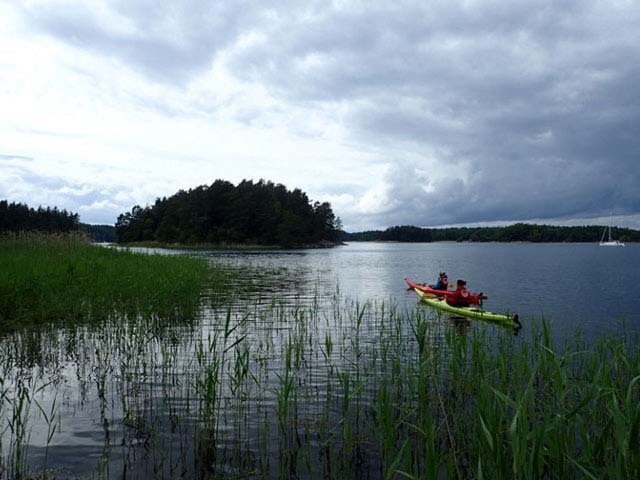 For me kayaking is a great way to see an area from a completely different viewpoint and the Stockholm Archipelago is a beautiful place to spend a few days exploring the many islands. Dog sledding is probably my favourite winter activity combining two of the things I enjoy most – dogs and beautiful scenery. 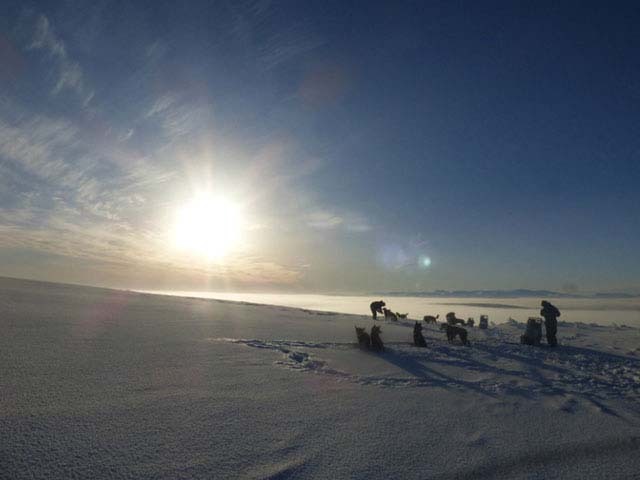 Dog Sledding and Northern Lights in Vindelfjällen. Photo: Nature Travels. On my trip we were very lucky with the weather, whilst it was -27oC for quite a lot of the tour, the days were clear and we had only a few flurries of snow, which meant that the trails were perfect for sledding and with 5 powerful dogs who love to run pulling us we were flying along through the forests and over the frozen lakes! My favourite parts of the trip (if I had to pick just a few) were having lunch on top of the mountain on the 2nd day – the view was amazing – and then sledding down the mountain ducking under branches, braking against the dogs and trying to steer was great fun! 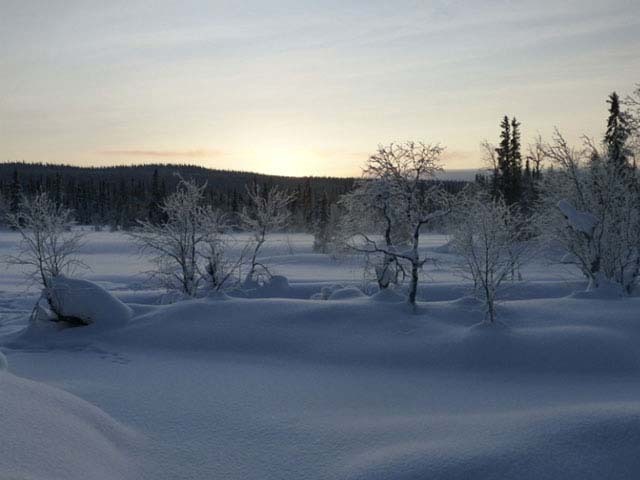 On the last day as we were sledding back to the kennels, it was perfectly quiet (except for the huskies’ feet padding on the snow), the sun was setting and the sky was a beautiful colour over the forest-covered mountains. It was magical and is an memory that will remain with me for a long time. It’s now a few years back since I canoed on Rottnan, but I still remember it warmly. The first section of the route is the nicest and I definitely recommend taking it easy here and not rushing through it. 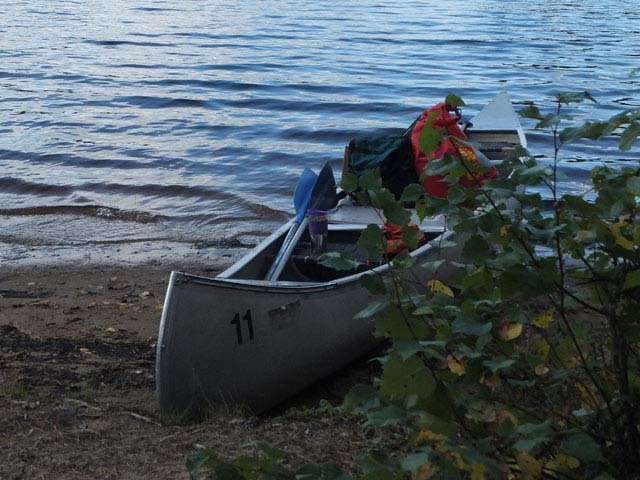 It is worth planning one night quite soon after you start paddling. Canoe Tours on Rottnan. Photo: Nature Travels. The distance is not difficult to cover in the time available, so it’s worth taking the time to relax. Rottnan offers an nice relaxing outdoor escape and stops time for a little while slowly travelling down river. What fascinated me the most about this experience is the number of different types of ice we got to skate on. On our first day we skated on “old” ice which had been covered by snow and where a track had been cleared to skate on. The second day was totally different – we were then skating on “kärnis”. If you translate it from Swedish it would be something like “core ice”. This is the first ice that is laid down and it is clear and hard. 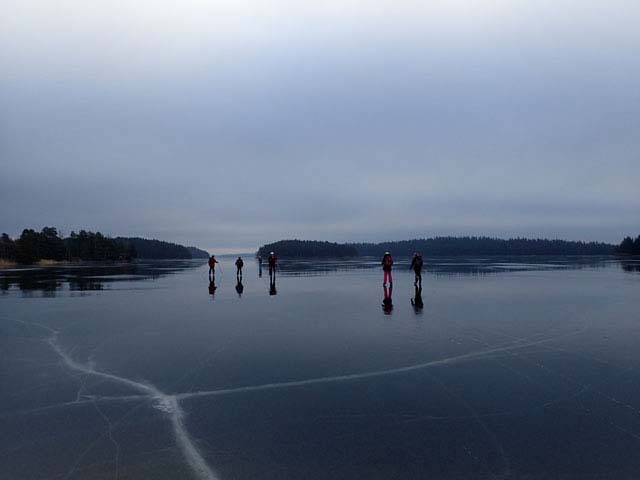 We also skated on “stöpis” and core ice with water on top! 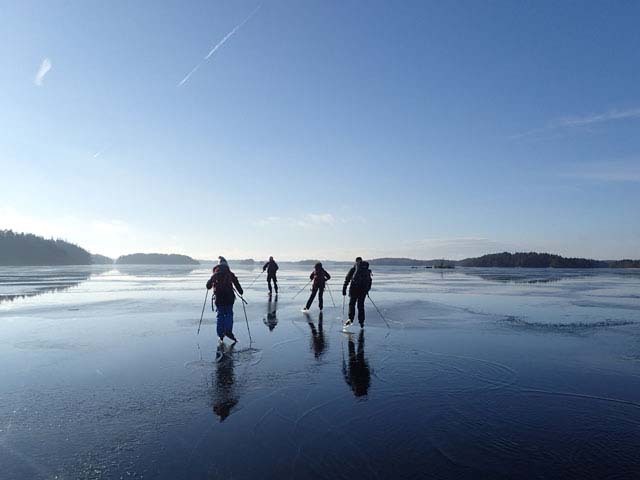 Ice Skating on Natural Ice. Photo: Nature Travels. 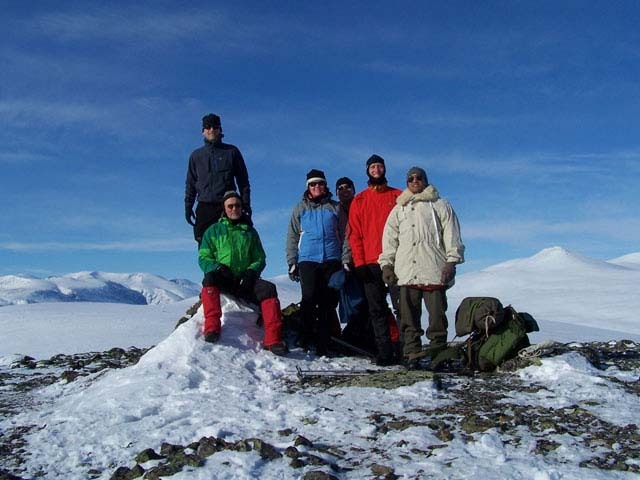 I especially remember on the last day when it was a bit windy, the guides had planned our route so we were travelling on the lake with the wind at our backs. It was lovely to travel over the ice with the wind slowly pushing us forward. If you stood still and held your arms out, you could travel forward just by the force of the wind! So now you know our choices, what’s your pick?